My favourite quote regarding photography has to be a conversation from the legendary Jay Maisel. When he was being interviewed by Scott Kelby for one of their training sessions, Jay was asked by Scott if he still get’s frustrated as a photographer. Jay responded that of course he does, he just get’s frustrated on another level. I find myself getting frustrated at times too. Sometimes when you’re out shooting, especially with street photography, you know you’re in the zone. You see things in front of you that you know will make great photos, and everything just seems to fall into place. On other days, you just can’t seem to get the shot the way you want it, or you’re just not finding your groove. It’s frustrating but it’s all part of art. It happens whether you’re a designer, an illustrator or a photographer. You just have to deal with it and move on. The thing with photography though, and again, especially street photography is that sometimes, even when you’re not feeling it while out on the street, when you get back to the studio and look at what you’ve captured you can be pleasantly surprised. I had one of those days today. I was out shooting to get some images for a project I’m working on and I just wasn’t feeling it. The creative juices just weren’t clicking and I was getting more and more frustrated. The fact that I had a splitting headache wasn’t helping matters. Anyway, by the time I got back to my computer and started uploading my images, I realised that I actually had a few good shots. In fact there were a few I was really happy with. What’s the point of all this rambling? Frustration with yourself is just part of art. It’s normal, and so if you get frustrated don’t be disheartened. Just be zen about it and let it go. There are plenty of people on the internet posting mediocre images who think that everything they do and post is the greatest thing ever, and that they never have bad days. I think true artists their always our own worst critics. I know the person that’s hardest on me is me. I heard another great quote recently, which was nothing to do with photography, but I thought that it applied just as well. I was watching an Anime and the characters were taking about their future path in life. One asked (I’m paraphrasing) “How do you know if it’s your true passion” to which the response was “That’s simple, if the thing that you want to do is your true passion then you can’t stand not doing it”. I was amazed at how exactly this summed up my feelings towards photography. When I can’t get out to take photographs, I get restless and feel the urge to be behind the camera. I can’t stand it when I can’t take pictures for any length of time. It’s something innate that calls me. That’s how I knew that it was time to start transitioning from my former work as a designer to being a photographer. That’s how I know that even when I get frustrated, inspiration will always come back around. I know I am on the right path with photography, for one simple reason, I can’t stand not being a photographer. 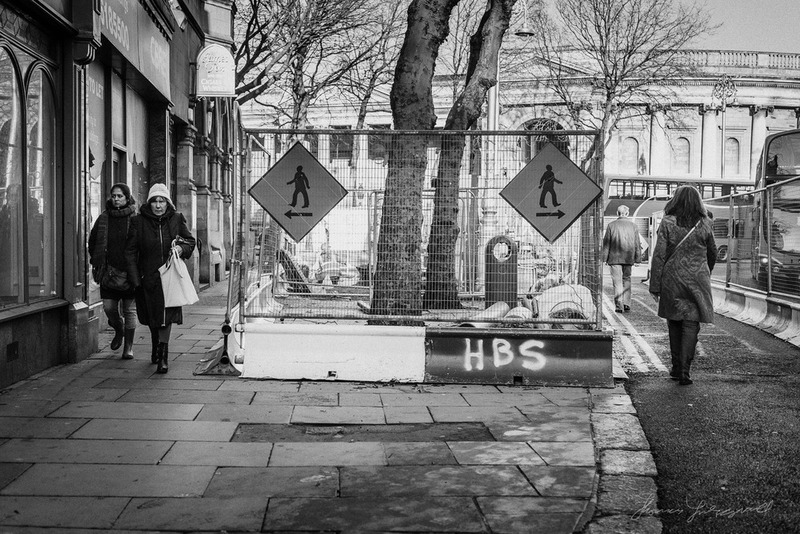 Incidentally, speaking of street photography, please check out my "Streets of Dublin" project. It's been getting quite a bit of a following recently, so stop by the website or the Facebook page if you like street photography.